The first pink flamingo lawn ornament was designed in 1957 by American artist Don Featherstone and since then has become a symbol of pop culture. Through the decades the iconic plastic Pink Flamingos have transitioned from kitsch garden ornaments to a vintage classic. 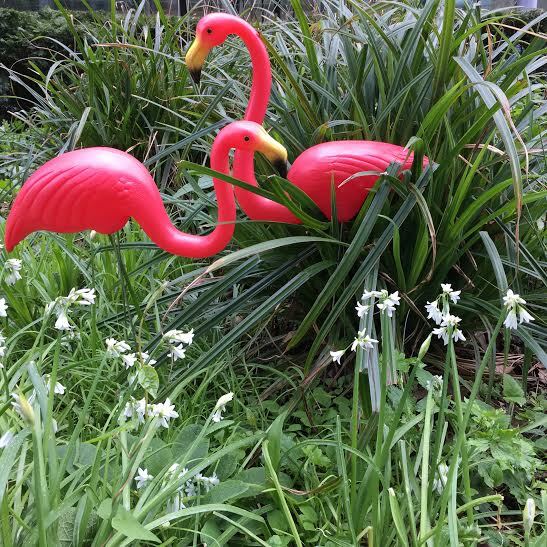 This summer, thanks to Temerity Jones Pink Flamingos have been the absolute trend for brightening up your garden. 13 Pings/Trackbacks for "Revive the Retro Charm of Pink Flamingo Ornaments in Your Garden"
Hey there! I just lately observed your internet site and I surely appreciate it. I enjoy to talk about omega xl from time to time. Good to be about, many thanks a good deal! One particular was produced only for exhibiting seconds and little although a diverse a single using minute graduations is created for implying several hours. Do you have a spam problem on this site I also am a blogger, and I was seeking to know your scenario we have produced some nice processes and we are looking to swap methods with other folks, be certain to shoot me an electronic mail if fascinated. Thank you for some other fantastic write-up. Exactly where else may possibly just any person get that type of information in such an perfect means of composing? I have a presentation up coming week, and I am on the search for this kind of details. Sohan is also currently being accused of leaving the jurisdiction in December last yr with out permission. It is going to be end of mine day, nevertheless ahead of end I am reading this fantastic publish to boost my encounter.